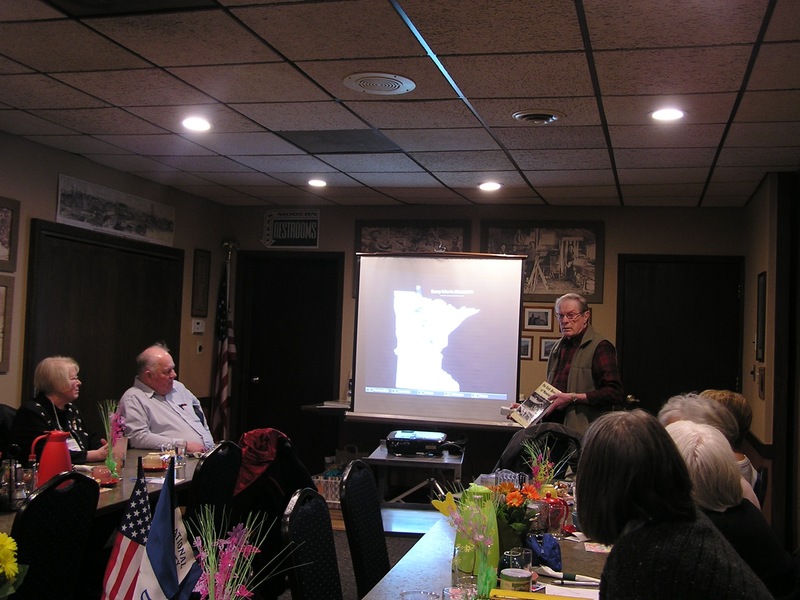 On March 10, 2018, I spoke to the Brainerd, Minnesota chapter of the Captain Robert Orr National Society Daughters of the American Revolution (DAR). Before my slide presentation, I brushed up on the goals of the DAR on their website and found that the chapter is one of 3,000 nationally and internationally. Any woman 18 years or older, regardless of race, religion, or ethnic background, who can prove lineal descent from a patriot of the American Revolution is eligible for membership in the DAR. Its broad goals include historical preservation, promotion of education, and encouragement of patriotic endeavor. Members participate in a variety of projects to help preserve our cultural heritage. I was invited by member Kathy Brown, who, with her husband Russ, traveled from Park Rapids to attend the chapter’s luncheon meeting at the Sawmill Inn at Brainerd. My slide presentation was titled “Early Central Minnesota Resorts and Tourism.” I’ll touch on a few of the subjects covered, some of which are in my book, The Early Resorts of Minnesota. Brainerd Area Lakes tourism blossomed with the advancement of automobiles and highways in the 1920s. However, the city of Brainerd owes its existence to a decision made back in 1870 by the Northern Pacific Railroad when it surveyed the first east-west transcontinental route across the northern states. At that time, just about everyone expected the tracks to cross the Mississippi River at the village of Crow Wing, a traditional crossing point and the largest village along the northern Mississippi. However, the decision was made to cross seven miles north of Crow Wing! This spelled doom to the village’s future, as everyone migrated to seek opportunities in the brand new village of Brainerd, named after Ann Eliza Brainerd’s family. She was an American author, Civil War patriot, and wife of the railroad’s president, former Vermont Governor, J. Gregory Smith. Travel and curiosity followed the newly constructed railroad tracks, which started near Duluth (completed in 1883). Fishing the new lakes along the route drew national travelers to Bay Lake, near Deerwood. 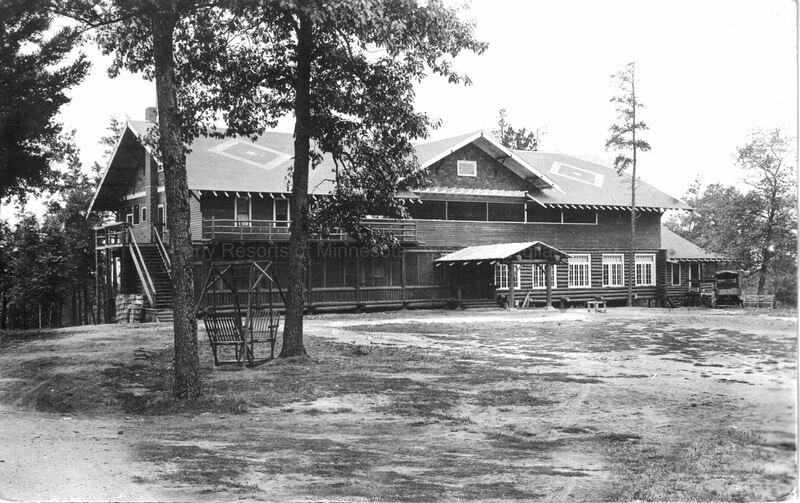 The Ruttger family had settled there, and what began as a homestead, developed into a long history of resorts. As many as five resorts had the Ruttger name at one time. 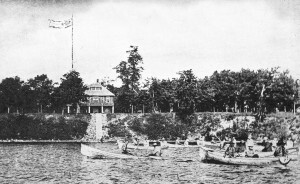 Ruttger’s at Bay Lake may be the earliest resort in northern Minnesota (1894), with the exception of Lutsen Resort on Lake Superior. Ruttger’s Bay Lake Lodge certainly must be the oldest resort operated by relatives of one family. 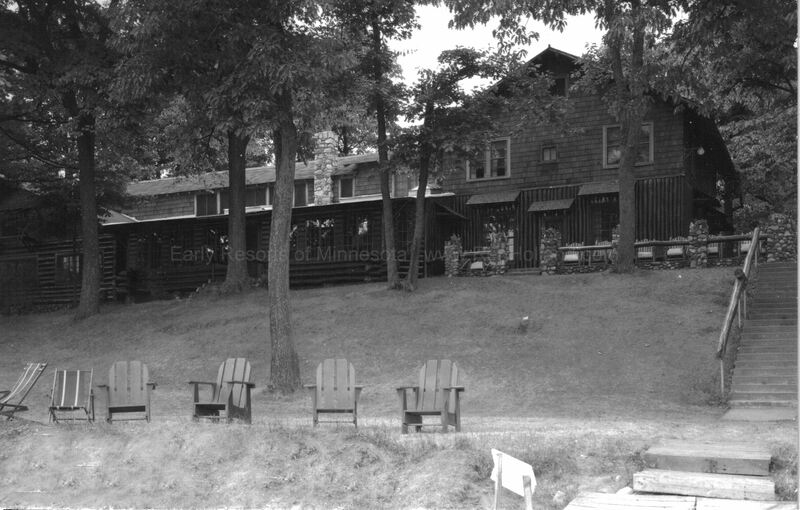 At Brainerd: Hough’s Resort on Gull (C. M. Hough), Hubert Cottages (C. M. Palek), Parkerville Cottages (F. S. Parker), South Long Lake Resort (Wm. McCall). At Deerwood: Highland Resort, Miller’s (A. A. Miller), Ruttger’s Tourist’s Home at Bay Lake (Joseph Ruttger). At Hubert: Heals Cottages (B. C. Heals), Minnewawa Lodge (B.C. Heald), Osborne Cottages (L. L.Osborne), Pukwana Lodge (W. D. Curtis), Wasena Camp (Sol Marquis & Son) on Pelican Lake. At Jenkins: Hardy Camp on Whitefish (Dave Hardy), Lakeside Camp, Piney Ridge (F. W. Palmer), Shady Rest Camp. At Merrifield: Velvet Beach on Big Pelican (Ike Miller). At Nisswa: Grand View on Gull (Baker-Seaton Co. of Mpls. ), Ozonite Resort on Gull (S. V.Long), Rocky Point Resort on Gull. At Pequot: Kamberling Resort (Chas. Kamberling) on Whitefish, Shady Nest Camp (O. L. Thomas), Silver Peak Lodge ( J. A. McEwen) on Whitefish. Of those mentioned above, only two have retained their original names—Ruttger’s on Bay Lake, and Grand View, on Gull (click here to read my “Blue Ribbon Resort” write-up on Grand View). These, and later resorts in the Brainerd Lakes Area, have become nationally and internationally known for their broad range of deluxe facilities for convention guests and tourists. I want to thank the Brainerd DAR chapter for the opportunity to speak about early resort history in the Brainerd Lakes Area. 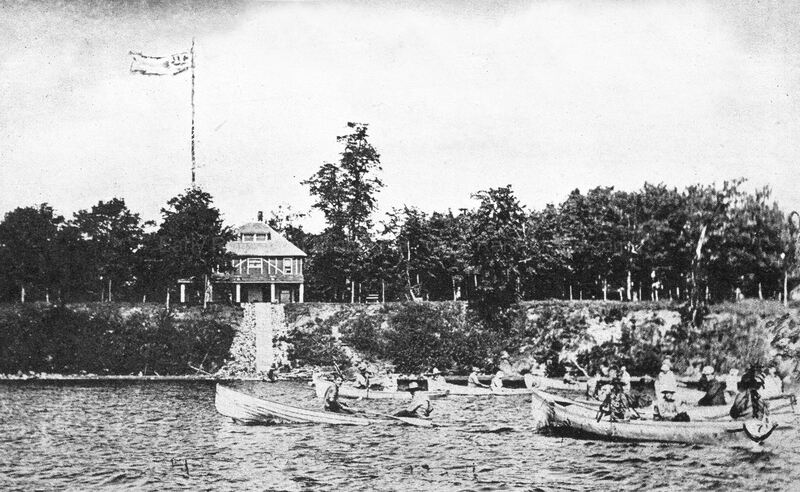 This entry was posted in All blog entries, Minnesota Resorts, Minnesota Tourism and tagged Brainerd Lakes Area, Captain Robert Orr, Daughters of American Revolution, Minnesota resorts, Minnesota tourism. Bookmark the permalink. Great presentation! I help several DAR friends with their genealogy, and admire their efforts immensely. I am so glad that they had a top notch speaker for their luncheon! Thanks for sharing. I love these blogs, and know that my dad would have been following every word!